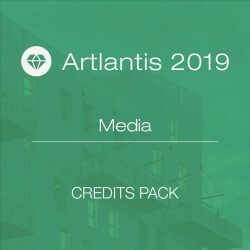 You can buy this product if you have a valid license of Artlantis Studio. During the order process, you will be asked to enter your old Artlantis Studio serial number. Artlantis 2019 unifies in one powerful application the previous Render and Studio versions, including all their features, offering useful display modes such as perspectives and parallel views and producing images, panoramas, VR objects and animations.